The Soapbox is a nonprofit community print shop, book and zine making center and library in Philadelphia that lives up to its metaphorical name of providing an attainable platform for expression within a welcoming space. The Soapbox serves its surrounding community of artists interested in Independent Publishing by providing affordable workshops, in turn, facilitating the creation of zines, artist books, and chapbooks. In relocating to a new space in 2017, they are furthering their promise to cultivate more artists’ skills and reach those who may have not even discovered their passion yet. The challenge for The Soapbox was to find a way to promote and market themselves in the public sphere of Philadelphia. As they move into a new space and expand as a nonprofit, they also need to grow their network. In order to market The Soapbox and share their story, we created a two-part video series of Artist Spotlights and five Instagram deliverables. Each video was roughly three minutes in length, that included two separate artists involved with The Soapbox. In the videos, both artists explained their life stories, what The Soapbox has meant for them, and their excitement about where The Soapbox is headed in the future at their new location. Several of the Instagram deliverables were taken from footage of the Artist Spotlights, which creates a consistent brand among their social media marketing. When approaching our work, we first articulated and centered our efforts around the purpose. Our goal of the videos, Instagram deliverables, and social media analysis was to perpetuate the mission of The Soapbox. The Soapbox’s mission is to spread ideas and stories, while also providing an outlet for artistic expression for anyone interested in zine or bookmaking. We kept their purpose in mind at all times when creating content. In order to create our content, we employed the use of interviews and video production skills. The filmed interviews featured artists that were connected with The Soapbox, which provided a personal aspect. Each interview was filmed and edited very intentionally to best relay the messages of the artists, in a clear, concise manner. We decided that spotlight interviews would best reach the audience of The Soapbox, since their main social media platforms are Facebook and Instagram. Both of these social medias rely heavily on aesthetically pleasing images, which heightened the need for critical video production skills. By producing high-quality images and videos, we increased our credibility as storytellers and increased the number of people that would most likely engage with the content. 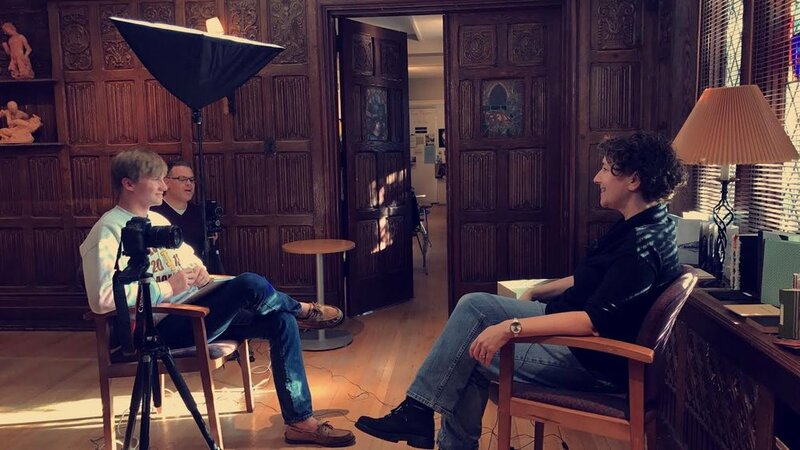 As discussed earlier in our case study, we worked on two videos for our community partner and created five Instagram deliverables along with some extra photos from our interview session with Donna. Regarding the videos, we started an Artist Spotlight Series and provided The Soapbox with an opening animation green-screen to place over future additions to the series to maintain consistency. 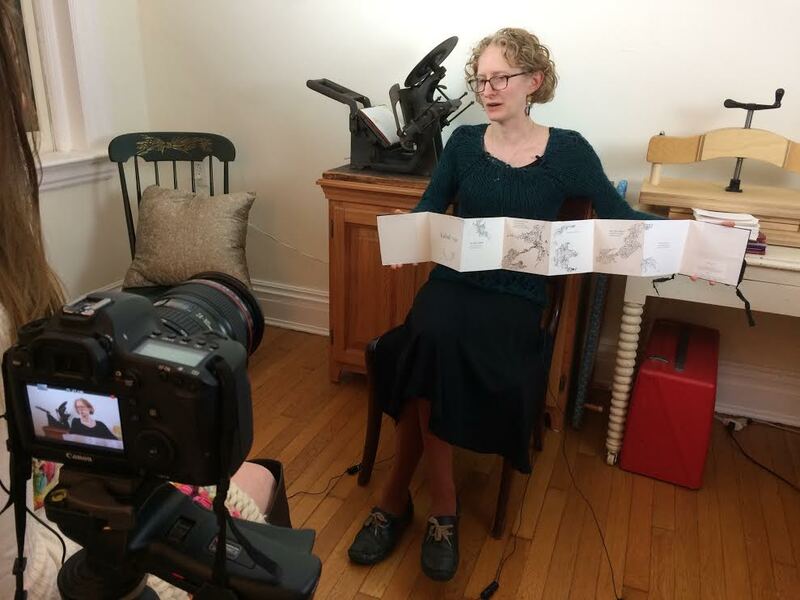 The videos we created are “Artist Spotlights” consisting of two interviews from local printmakers who make use The Soapboxes resources. These videos aim at showing possible future members how strong and inviting The Soapbox’s community is. As for our Instagram deliverables, we created a graphic containing a quote from Anna’s interview with an image of letter blocks in the background. The other graphic we created for Instagram is aimed at increasing The Soapbox’s membership. The graphic contains different membership packages and prices in order to attract current and future print makers to the community. Along with these deliverables we provided our community partner with some extra images Caitlyn captured during our interview. These graphics are aimed at using Instagram as a visual platform to garner a larger membership base.